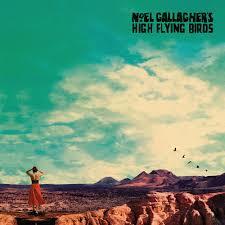 Noel Gallagher’s High Flying Birds have returned with a new album “Who built the moon?”. The new release comes out on 24th November. Lead track is the distorted upbeat track “Holy mountain”, which features The Jam’s Paul Weller on organ. Speaking about the new song, Noel said: “I knew instantly that it was going to be the first single. Until the day I die, it will be one of my favourite pieces of music that I’ve ever written. My kids love it, my friends’ kids all love it and I am sure ‘the kids’ will love it”. “Who built the moon?” was produced by Gallagher himself with DJ and composer David Holmes. It’s the first album by the band since the departure of drummer Jeremy Stacey and guitarist Tim Smith. Both are replaced by former Oasis members, Chris Sharrock and Gem Archer respectively. No need to shout, what you bitchin’ about?